In the modern age, screens constantly demand our attention. Whether it’s a smartphone, laptop or a tablet, people find themselves staring at one screen or another at some point during the day. 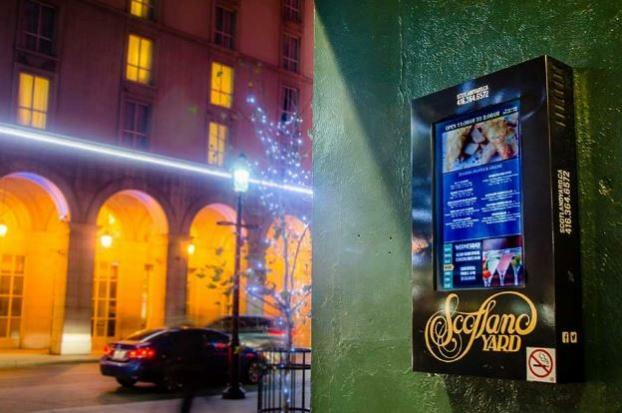 At SpeedPro Imaging Rahway, we provide digital business signage that displays vivid and compelling imagery to make people look at a whole different screen — yours. Screens are naturally engaging, so it only makes sense to parlay that into your marketing strategy. 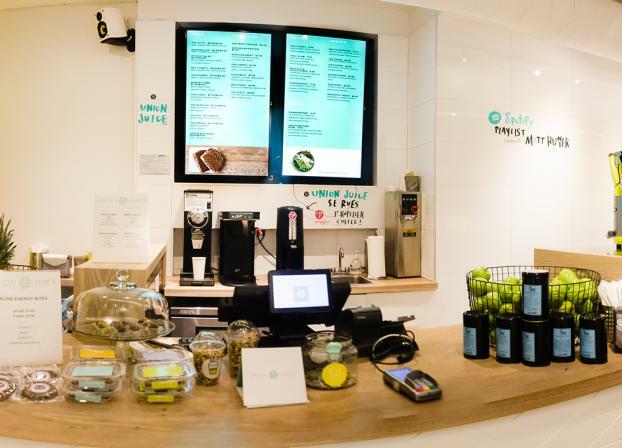 Custom digital signage can take many different forms, from displaying sales at retail stores to relaying business events and information in your office. Utilizing high-resolution images and sharp colors can draw people into your advertisements. Think of it as a miniaturized version of Times Square in New York, where product placements constantly flash across the glowing billboards and draw the attention of the masses. The messages and images you display can be quickly cycled and updated. Restaurants can change their menus from breakfast to lunch to dinner depending on the time of day. You can show the routes and arrival times for buses and airplanes. If you want to keep your guests entertained while they’re waiting in the lobby, you can set up updates in real time from weather services, news sites and social media. 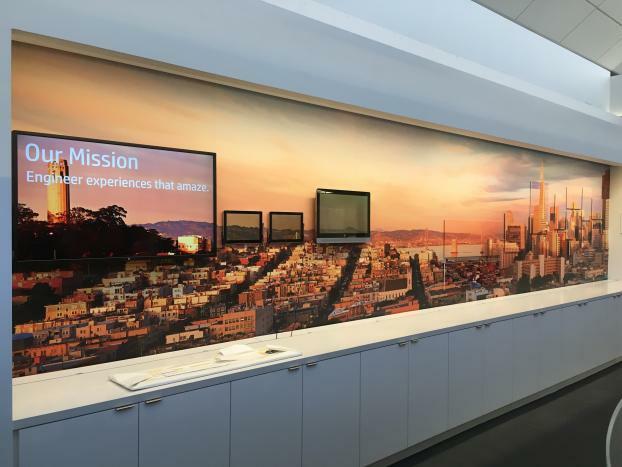 You can even use digital signage to show slideshows of your work to potential clients visiting your office. People are more likely to trust the opinions of fellow consumers rather than formal advertising, so testimonials that contain photos and quotes can go a long way in procuring new customers and clients. 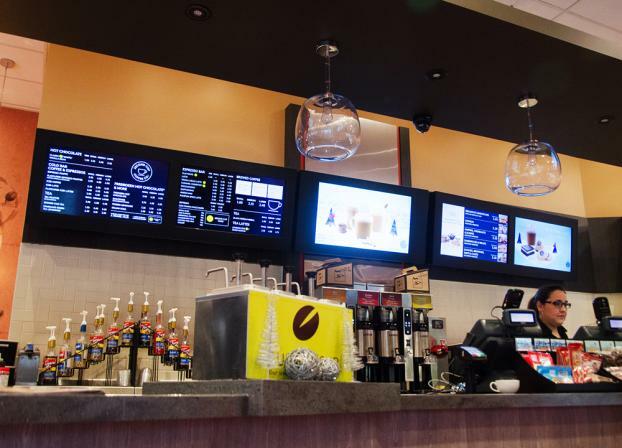 Perhaps the biggest advantage that comes with digital signage, however, is the cost-effectiveness, as it requires only screens and the files uploaded to them. It also opens up the avenue to make additional money, as you can rent out your signage to third-party advertisers. It’s a more environmentally friendly option as well — you bypass any waste print projects may produce while being able to change the information on your signage as often as you see fit. No matter what you need them for, the experts we have scattered across the country are prepared to help you with your digital business signs. From start to finish, we’ll work closely with you to plan out our course of action so that your experience with us is collaborative and stress-free. We want all the elements of your design and marketing to fit together and give you the overall advertising power you envision. At SpeedPro Imaging Rahway, we always aim to be a trusted extension of your marketing team, so contact us today to find out more about what we can do for you!